PLEASE NOTE THAT TICKETS ARE SELLING EXTREMELY FAST FOR THIS EVENT - BUY NOW SO YOU DO NOT MISS OUT!! SATURDAY IS SOLD OUT, VERY LIMITED TICKETS LEFT FOR SUNDAY!!!. See you & your friends there! Be sure to "Like" & "Share" above to help spread the word!! SUNDAY - General Admission (1PM - 7PM) details $14.99 Ended 45! At the event, you'll find 20 of the area's best restaurants & food purveyors dishing out a variety of $3 tacos (sold separately). There will be bars and beverage stations serving margaritas, tequila flights, ice cold beer, water, soda & more. All items will work on a voucher system - there will be various voucher stations throughout the festival & all vouchers will be used as cash. Additional vendors will be on hand to sell other food (cotton candy, cakes, desserts etc) as well. Multiple ATMs will be on site & strongly encourage cash sales at voucher stations. A variety of tequilas will be available for pre-arranged flight's or individual purchases at the tequila expo! Enjoy the Taco Fest responsibly - stay the night! Discounted Room Rate of $149. CLICK HERE to book online and get the discounted rate (rate is locked - hurry this block will sell out since prices will go up for these dates!). Or call (502) 584-5175 and reference booking code "LTF18" to get that rate. Good for king or double bed rooms, grab some friends! *All tickets purchased for The Louisville Taco Festival by phone or online are final. We Do Not issue refunds or exchanges & this is a Rain or Shine Indoor/Outdoor event. View More Events Organized by Louisville Taco Fest. Welcome to Taco Heaven at the Louisville Taco Fest! 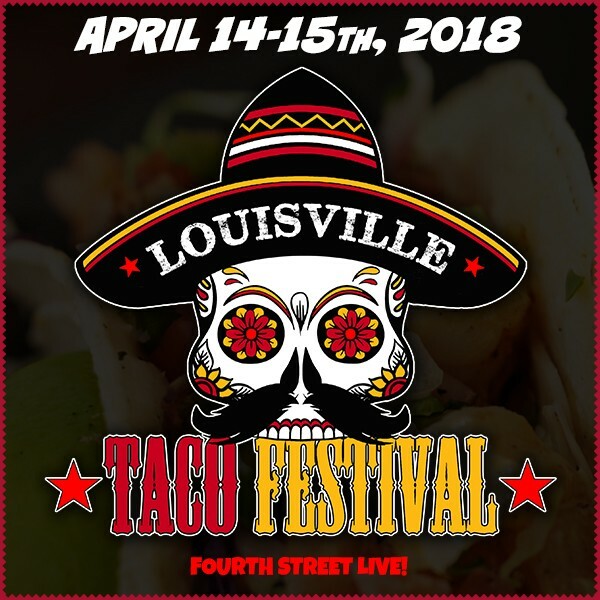 This event is organized by Louisville Taco Fest.